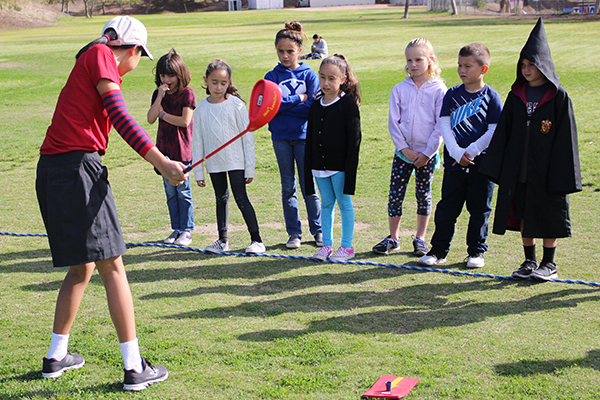 Behind Castille Elementary School, in a grassy field there is a group of students racing around with clubs in their hands as they test themselves on a homemade drive, chip and putt course. This class isn’t organized by the school, however, this is completely operated by Vanessa Ngo, a 13-year-old SCGA Junior member and Castille alumnus. Vanessa dreams of being a golf coach, and after being told she was too young to help at several other golf programs, Vanessa, with the help of her parents, decided to go out on her own and give back to the game and school that she holds so dear to her heart. The class has in fact been so successful, that there is already a waiting list for the session that is set to begin in January. Vanessa’s first five-week session taught nine kids and focused on the fundamentals of the game. 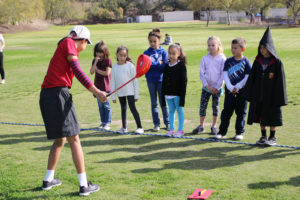 Vanessa uses SNAG equipment (Starting New At Golf), which is designed to help motivate kids to learn the game without having to be at a course. 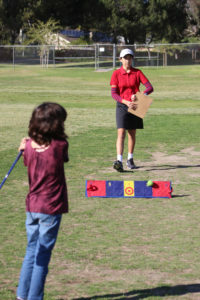 The bright colors, tennis balls and bullseye targets encourage young golfers to have success. Introduction to the game, putting, chipping and driving and culminated with a tournament-style class during the final week. The competition was fierce, but as kids rotated through stations, Vanessa’s encouragement and coaching kept them focused and they had a great time playing with their friends. Vanessa isn’t just giving back to the game, she’s also quite the player herself. 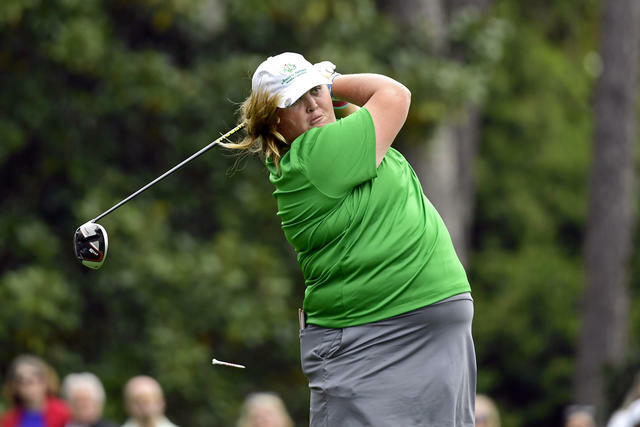 She finished fifth in the 12-14 division of the SCPGA Junior Tour for the 2018 season carding four championship victories and 21 top-five finishes. Vanessa’s game and teaching style haven’t just impressed her students’ parents, however, her own parents say that they are overwhelmingly impressed by what their daughter has achieved. Each participant receives a goody bag from SCGA Junior with gloves, balls and a ball marker, along with their own golf club, donated by TGR Learning Lab. The day closed with an inspirational message from Vanessa about the game and what it has meant to her. If you are interested in learning more about our girls programming and how you can get involved, please email Jennifer Seislove here. Do you have a comment for the author? Email Hailey here. All about women in and around the game, subscribe to FORE Her and receive monthly unique stories, news and events updates. ©2019 Southern California Golf Association. All rights reserved.